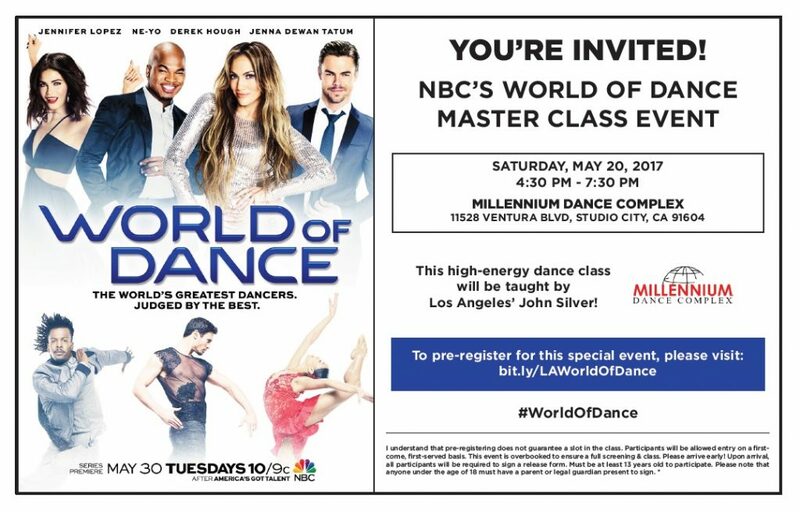 NBC’s New Dance Show “World of Dance” Offering Free Dance Class in L.A.
Join us at Millennium Dance Complex in Studio City at 4:30pm on Saturday, May 20th for a free master class from John Silver! Attendees will get a sneak peek at the first episode of a major upcoming dance competition show and learn a fully choreographed routine for a full song. Attending is free! Reply to this posting to register! Dancers of all styles and experience levels wanted, attendance is FREE.